Of the many topics that providers return to again and again, is the German beer hall. This is not a very universal idea, but it has a lot of appeal: it is fun, festive and has many recognizable symbols for players that can be found on drums. One of the last slots with this theme is Wunderfest from the company Booming Games. 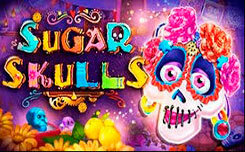 This slot, which uses two-way payment to give players as much as possible a chance to win. The game takes place against the background of the old German city, not far from the pub. The underlining of colored leaves suggests that the action takes place in the autumn, an ideal time for the celebration of the October holiday. The Wunderfest video slot is a five-reel game with 10 paylines for players. 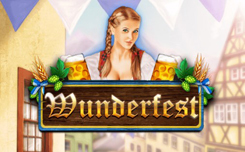 This game is filled with themed icons and winnings come from classic beer halls, such as a party, bartenders, hats, pants, hops, pretzels and of course, beer. The scatter symbol, when three or more appear anywhere on the reels, will result in at least 10 free spins. Before starting the free rounds, you will learn which of the game icons will become an expanding symbol.